House of Green is an organization created by landscaping design professional & nature enthusiast harindra Kumar Seruwam.. Over 18 years ago, he turned his hobby into his livelihood, with landscaping ideas to create gardens and various other landscape architecture that is how the House of Green was born in 1998. 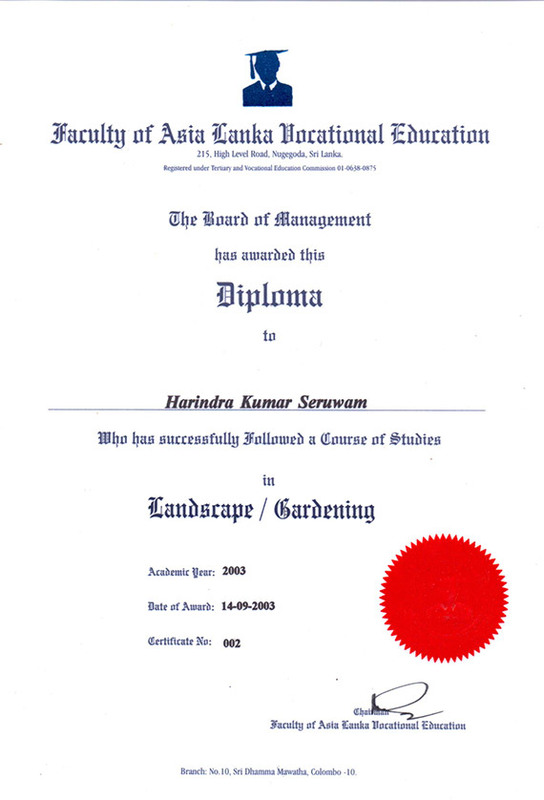 Founder, hari holds a Diploma in landscape designing and has been working on many successful projects since the inception of House of Green. He is known for fresh ideas in creating beautiful gardens and courtyard designs. Today House of Green is a leading name for landscaping and always ready with modern challenges. Our team comprises of professionally skilled individuals who have been part of the organization since inception. They are highly motivated, extremely talented and work effortlessly to produce great results. As landscapers we guarantee the best advice, ideas and design for your requirements.